... in chicness and in health. 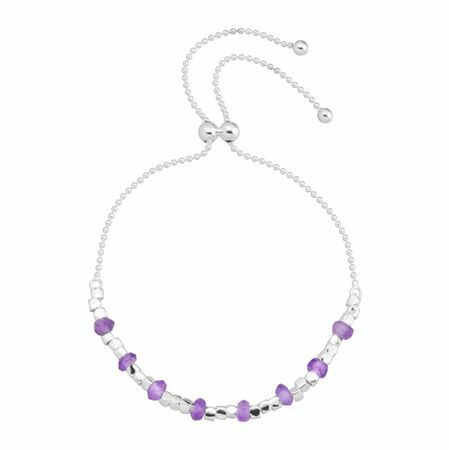 Natural amethysts alternate with sterling silver beads on this sliding bracelet - sure to shine for years to come. Bolo bracelet measures an adjustable 8 3/4 inches in length and features a sliding clasp. Piece comes with a “.925” sterling silver quality stamp as a symbol of guaranteed product quality.